St Peter’s rowers Amelia Barrell and Terri Wyatt prepare their boat for the girls under 18 quad heat race, where they went on to win the A final. Two big regattas on the rowing calendar took place simultaneously at Karapiro over last weekend, attracting 2250 athletes and around 1500 spectators. The Cambridge Town Cup saw secondary school rowers earn podium places in age group racing over Friday, Saturday and Sunday, whilst the North Island Club Championships, which kicked off on Saturday, saw medals being awarded to successful crews from around the North Island after Sunday and Monday’s finals. After five days of training camp leading up to the competition, St Peter’s School rowers had a great few days of racing in hot and windy conditions, making 22 A finals, six B finals and two C finals. Beckie Leigh won the girls under eighteen single scull, and along with Terri Wyatt won the girls under 18 pair. They also joined Clare Milne, Amelia Barrell and coxswain Brooke Houston to win the girls under 18 quad. 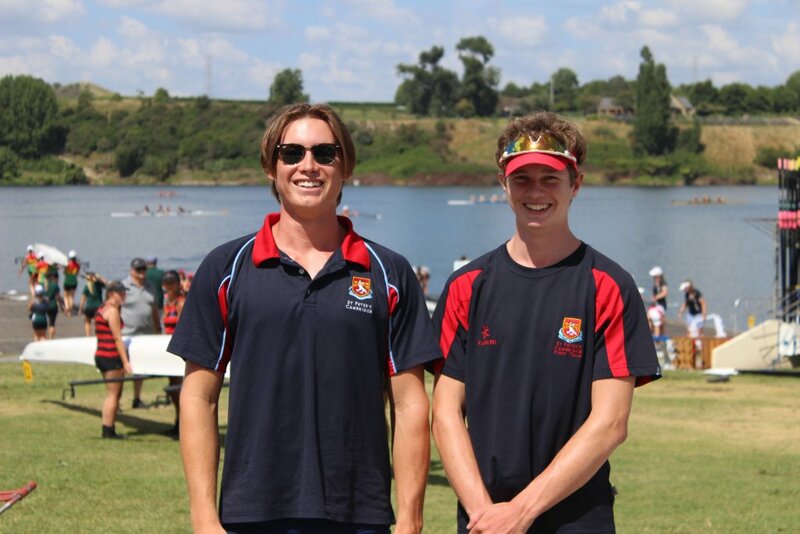 St Peter’s rowers Jacques Balsom and Harry Lynch were part of the under 18 quad that won their A final. The school’s under 18 boys quad, made up of Patrick Griffin, Jacques Balsom, Jason Nel, Harry Lynch and coxswain Brooke Houston, also won their A final. “It’s been good, but a bit hot,” Jacques Balsom said during the competition on Friday under intense summer heat. “It’s tough competition,” his team mate Harry added. “The goal is to win the heat, whether we do or not, but we should do. We’ll just go hard.” And that they did. The school also picked up a second-place finishes in the under 18 girls eight, under 16 girls quad and the under 15 girls double scull, as well as third place finishes in the under 17 girls eight, under 17 girls quad and the under 17 girls double scull. 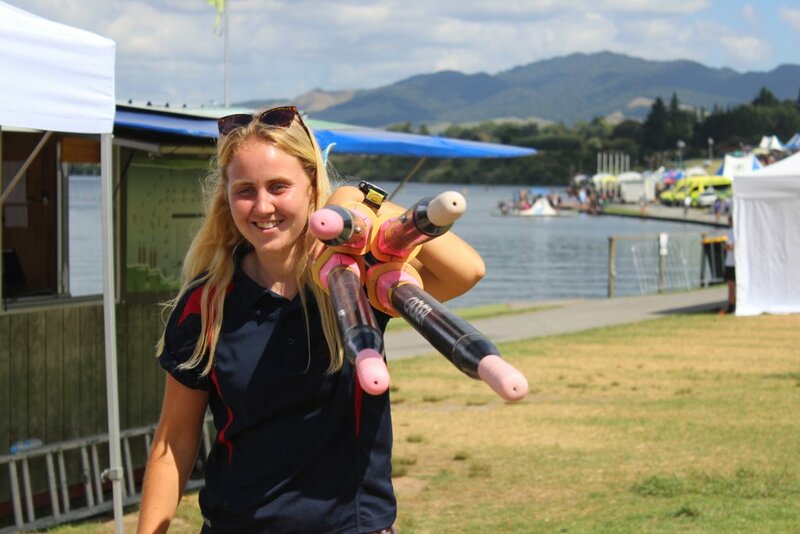 “It was pleasing to see some great performances from our under 18s down to our under 15s, and see most of our rowers making it through to finals,” said the school’s rowing coach, Janey Wackrow. 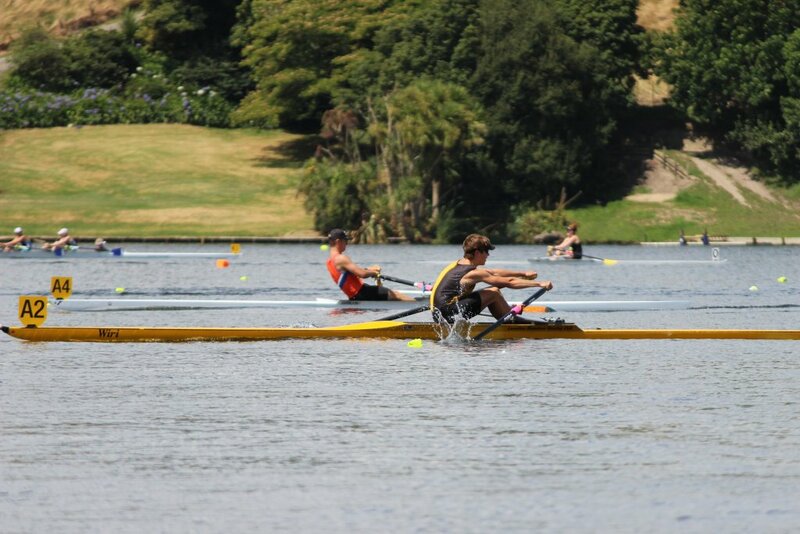 The under 18 boys single scull heats were contested in hot conditions on the first day of racing. Cambridge High School rowers at the competition earned top placings in six A finals, with the girls under 17 quad and the girls under 17 double both winning first place in their A finals, as well as the under 16 girls quad and under 15 girls double both fifth in their A finals, the under 16 girls double third in their A final and the under 16 boys double third in their A final. 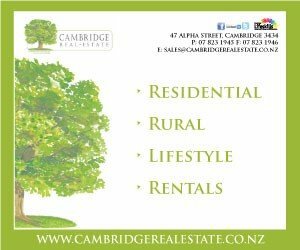 Meanwhile in the North Island Club Champs, the Cambridge Rowing Club won the A final of the women’s senior coxless pair and was second in the A final for the women’s senior double scull, and placed third in the women’s senior coxed eight A final. Flora Wharton, St Peter’s rowing coach. 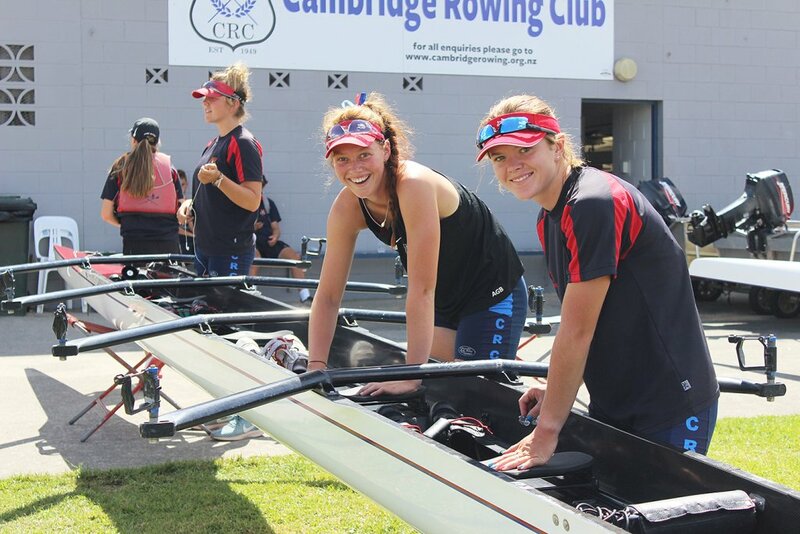 Rowers are now preparing for the Aon Junior Regatta, the first regatta on the school calendar taking place February 23 – 24, followed by the North Island Secondary Schools Championships over March 8 – 10 and the Aon Maadi Cup (NZ Secondary Schools Championships) March 25 – 30.